A major component of being well prepared for whatever life may bring is building a repertoire of skills and a bank of knowledge. 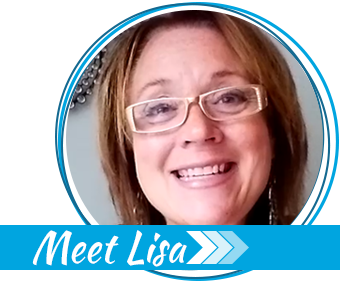 If you’re on a journey to enrich your own life and become better prepared, check out this new book series by Liz Long, a long-time contributor to The Survival Mom blog. 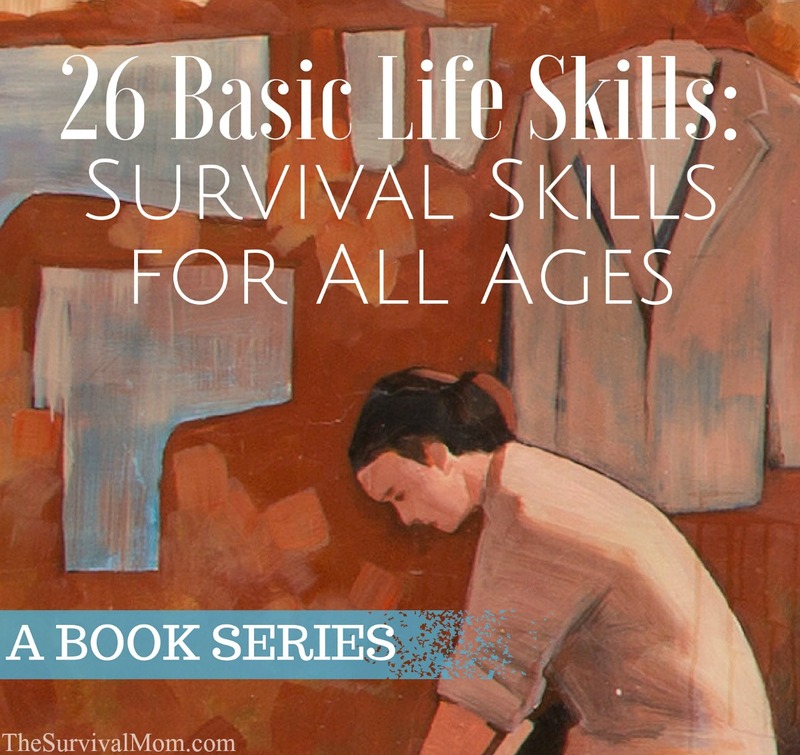 26 Basic Life Skills is the first book in a new series (Survival Skills for All Ages) that covers important skills to survive and thrive in life. Some, such as trusting your instincts, are really the same in every day life as well as in an emergency. Others, like doing laundry, can change drastically in an emergency. A few, such as staying warm when your heating system goes out, can be an emergency in and of themselves. Beginning with 26 Basic Life Skills and then continuing through the additional books in the series, each skill is covered first from the point of view of every day life, then from how it might be different in an emergency. Even something like having your heating system go out can either be the result of your furnace being broken or a complete power outage, leaving you with no on-grid way to stay warm and no way to use any other electrical device or appliance. The 26 chapters are divided into 5 parts, or categories. Every chapter ends with an activity to help practice that skill, a five question True/False quiz, and a series of resources to deepen your knowledge. These resources include online articles, books, related Scouting badges (BSA and GSUSA), and videos that provide more detailed information and fun activities to reinforce the topic. These life skills are so basic, almost no one talks about them. Trust your instincts. Know who to trust. Be aware of your surroundings (situational awareness). Practice problem solving and plan ahead. Dress for the weather. Stay physically fit. Situational awareness and staying fit are both discussed a lot in prepping, but not necessarily in practical terms for regular people. Situational awareness is about more than recognizing someone trying to steal your purse or break into your compound. It’s about being aware of what is going on around you, in general, and noticing things that are out of the ordinary. Rather than just talking about the need to move and be healthy, the focus on physical fitness from a survival stand point is on activities that can help you get fit and be better prepared for emergencies at the same time. Activities like hiking, biking, and backpacking are all fun, enhance fitness, and are good for emergency preparedness. Other basics discussed in this chapter are learning to trust your instincts and knowing who to trust. What I was impressed with was how thoroughly each skill is covered, with examples from Liz’s own experiences and family life. Once you cover these basics, it’s time to move on to what most consider the basics: Food and water. As much as we all want to believe we never have to worry about safe drinking water, the news periodically proves that is not true. Flint, Michigan – Improperly treated water. Charleston, West Virginia – Long-term chemical dumping. Colorado, Utah…– Dump of toxic water from a gold mine. New Jersey / New York – Hurricane Sandy. Florida – Hurricanes can interrupt regular utilities. California – Earthquakes can interrupt regular utilities. Learn about important fundamental skills in these chapters. Does your family know how to determine if water is (or can be made) potable? Do you know uses for non-potable water? What about skills needed to grow food and then preserve it for future use? Now that you have food and water, do your kids know how to make it into a meal? The first step in making a meal isn’t cleaning or cutting up the food. It’s meal planning – deciding what to have, preferably in advance. This task doesn’t sound like much fun until you realize that whoever plans the meals knows that they will like (or at least not hate) what’s for dinner! The next concern is food safety. Food must be kept at a safe temperature and handled with care. An oft-forgotten part of food safety becomes very important in an emergency situation: Recognizing and disposing of spoiled food. Of course, hygiene and sanitation are part of this as well. Once you have the meal planned and understand basic sanitation and food safety, it’s time to actually prepare the food. Do your kids know something as simple as how to measure food without making a mess? Do they know the difference between chopping, dicing, and mincing? Can they use basic hand tools such as a whisk or an egg beater, or kitchen appliances such as a slow cooker or food processor? I have used a whisk for decades, but I still learned something new while writing this book from a video that demonstrates how using a side-to-side motion is more efficient than a circular one. For the many people who rely on electric appliances, this is a good refresher on basic hand tools in the kitchen. The life skills in this section can not only be useful in everyday, non-emergency life, but should be used in everyday life. Kids may not be planning meals for the whole family but there is no reason they can’t plan their own lunches. Even kindergardners can choose from a list of choices to build their own menu and look at the school menu to decide what days they really want to buy lunch. Anyone who messes up on basic sanitation or disposing of spoiled food may end up sick. How do you handle that? In this section, chapters 17-20 detail basic and not-so-basic skills that help insure safety and good health. Calling 911 seems so basic that including instructions for it must be a joke, but consider this: What do you tell (and not tell) the operator when they pick up? Do your kids know what to say? Many cell phones automatically call 911 for the area closest to the billing address. What do you do if you are traveling? Do your kids (and your spouse) know about family medical issues? Can they rattle off a list of who is allergic to what and how they respond (rash, anaphylaxis, etc.)? Do they know where to find this information in case of emergency? Do they know where to find critical medical items including epi-pens and insulin? Many home remedies, and a lot of basic first aid, are so simple even preschoolers can handle them. Aloe vera for a burn, cayenne pepper for a heart attack, Epsom salts for sore muscles: These are just a few of the many easy, proven home remedies everyone should know. A discussion of common first aid classes rounds out Part 4. Like most of the life skills in this book, these are skills most of us need in daily life. Sewing, swimming, safe knife use, and surviving without any heat in the house are clear examples of this. Sewing can be as simple as re-attaching a button or fixing a tear, or as complex as a beaded, multi-tiered custom wedding gown, but it all starts from a few basic skills. There is no need for fancy, expensive machinery. Remember, the complex gowns of the late 1800s were all created with, at most, a very basic machine. Safe knife use may not seem like an important skill in daily life if whittling and outdoor use are the only things that come to mind. When you consider how much we use knives in the kitchen, it doesn’t take long to see how important it is in daily life. Other skills covered in this final chapter are how to build survival packs and how to safely and appropriately react to the sound of gunfire — a skill that is sadly needed in today’s world. These 26 basic life skills aren’t complicated or exotic, but they are important in everyday life and emergencies. 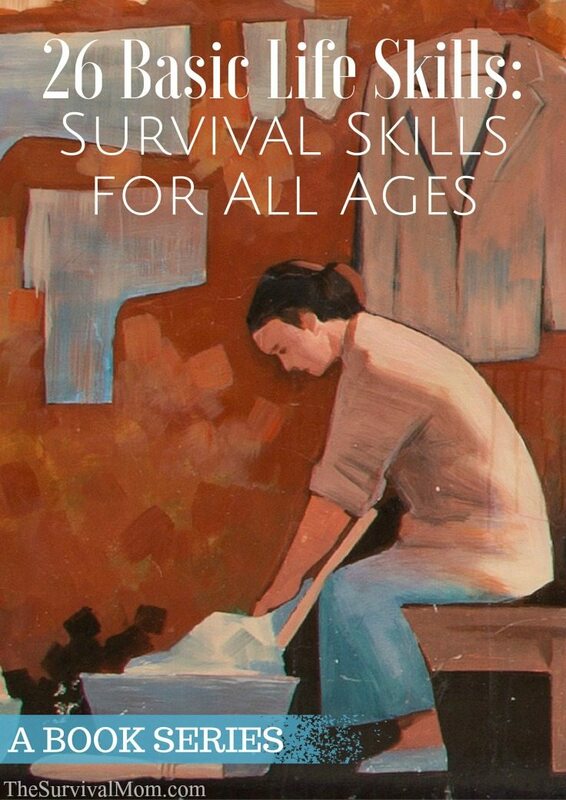 I recommend 26 Basic Life Skills: Survival Skills as a manual that can guide you and your family toward better preparedness. It’s well researched and provides lists of additional resources for deeper learning. 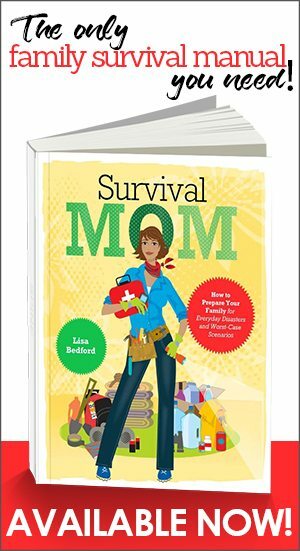 Add this one to your family library of survival books! Be sure to enter using the Rafflecopter entry form near the bottom of the article. Sometimes it takes a few seconds to load, so give it time, and good luck! Make sure you use the Rafflecopter form to enter. Your comment counts as an entry, but you need to check that off as one of your entries on the official form. Go to the article again, wait a few seconds for the form to load — it’s at the bottom of the article. Good luck!! How do we win the book? I would love a copy! Check back with the article, scroll to the bottom, and use the entry form there. Be sure to click that you’ve left a comment! Sounds like a very useful addition to any skills library. Jeff, be sure to go back to the 26 Basic Life skills article and enter the giveaway using the form that appears at the bottom. It may take a few seconds to load, so be patient. Good luck! 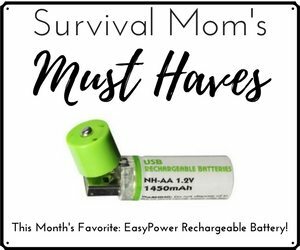 Already want this to add to my growing collection of self sufficient books….will put it right next to my copy of The Survival Mom! Make sure your comment here counts as an entry! Go back to the article, scroll to the bottom, and use the entry form that pops up below the article. I never thought about cell phone 911 calling the wrong 911 if we were traveling. Good info! Thanks! It’s the kind of thing that’s really easy to miss. Would like to win a copy. I want to have a list of all the items for a good 1st aid kit. Sounds like a great book to own. Well, too late, already ordered it from amazon. My question: what timing will other books follow? I’m about halfway finished with Mental and Urban skills, but Outdoor skills will take longer because homesteading is my weakest prepping area. Hopefully I’ll have the next book written by mid-April and ready to publish by June. The Outdoor skills book will probably be next fall. The cookbook may actually be finished around the same time. Thanks for asking – and for ordering! I would like to know more about herbs as medicines. I’d like this as a resource for my adult children. Would love a copy to add to my survival library! i would need the daily life skills. i have had a garden, but haven’t tried washing clothing/dishes by toting water from a different water source. We have chickens, but are feeding them w conventional foods. I have hauled water and picked up two 5-gallon buckets without having my spine & head in a perfectly straight line. Messed up my neck pretty good. Still bothers me now and then 30 years later. There are skills in even the simplest things! The more learning & practicing you can do now, the better off you’ll be. Haven’t seen the book yet, but sounds pretty useful. If you buy the Kindle version, there are links to videos demonstrating the skill at the end of the chapter. If you buy the paperback, the link is listed, but you’ll have to type it in. You are growing something! That’s a start. I’m sure you’ll keep adding to it and improving your garden since you are determined. Sounds like a great addition to the skills library. I need to learn gardening, but we live in the shade! I’d love to learn more about gardening and canning food. Also, I have a young son with life threatening food allergies…I would enjoy reading about how to handle those in emergency situations, planning for them, etc. There is a new series of Special Needs posts that is ongoing right now. A post on food allergies is planned, so keep watching for it in the next month or two! Great info for everyday and emergency situations. This sounds like an awesome resource! I’d love to use it in my home! Sounds like an awesome resource! This book would be great to have. That seems like an interesting starter for kid prepping. Thanks! That is my hope, and the main reason for including an activity in every chapter. Something to make it more “real” and keep it fun. Knowing how to survive in the suburbs and being able to protect one’s garden would be important. 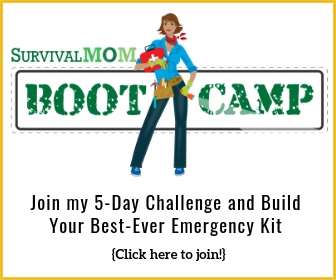 As is trying to make it look as if you are not a prepper, too. Thank you! This is some great information. I’d like to make food storage a priority! I would love to win this book for me and for my daughter. I look forward to reading this book. I enjoy their newsletters so much. I want to learn more ways to do tasks using off grid appliances, tools etc. This would be a great start for a survival library. Hope I can add it to mine. This sounds like a good addition to my prepping library. Knowledge is power. I would love to learn more about fire building and cooking over a fire, including what type of pans are best to have on hand for cooking over fire. The third book in the series will focus on “Outdoor Skills” including cooking outside and building fires. Great book idea! A long time ago, I thought it would be neat to write a book to give to graduating college/high school kids – how the world works. This sounds like it’s pretty close to that! Basic skills everyone needs, that not everyone has. That’s my hope – to make something everyone can use. Even if people know the basic skills, they may not know how to do the same tasks without electricity. How many books in the series? At the moment, I have four planned. The next one is “Mental and Urban Skills” and includes financial skills such as budgeting and valuing items. People don’t think about it, but valuing items is an important part of shopping places like eBay and yard sales. It’s important for everyone! The third one is “Outdoor Skills” including camping skills like building fires, but also skills like surviving if you get caught in a rip tide. The fourth one is “Everyday Cooking for Emergencies” – recipes that can be made every day, but that are easy to make using shelf-stable ingredients like dehydrated eggs and milk. For me, water storage, water treatment, etc. is the biggest life-skill I need to learn. I have started but need to feel more confident in this area. I need to learn about foraging. Looks like an awesome book!! The third book, “Outdoor Skills”, will have a chapter on foraging. I always believed I was a good planner, prepared for life’s challenges. Since I’ve been on your site, I have learned so much about preparation. Turns out, I wasn’t prepared at all. I find it over-whelming, yet I am making slow but steady progress. Thank you for giving away this book to some lucky person! Congrats on the book series, Liz! It sounds fantastic! You’re going to have to change that line in your bio about “lack of any cooking skills in the entire extended family” after you finish your cookbook! 🙂 Keep on prepping, and keep on inspiring the rest of us. You are so right! I have been working on my cooking skills so they aren’t too bad now, which is a huge improvement from where I started! Thanks Anne Marie!